The Volkswagen Golf is now more than 40 years old, having been around since 1974. 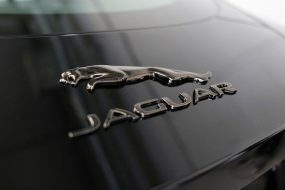 Now into the seventh generation, the model has lost none of its’ appeal. From the cult classic status of the earlier models to the desirability of the latest model, the Golf offers the very best hot-hatch experience flawlessly blending exciting performance, practicality and solid German engineering. Little wonder that forty years on, the Golf has maintained a steady follower growth through the generations. The Golf GTi offers extra: based on a standard Golf platform, the GTi features a stiffened and lowered suspension and is tweaked to provide increased responsiveness through the steering. 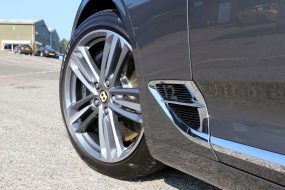 A 2-litre petrol turbo engine delivers 217 bhp (add 10 for this particular model as the owner had opted for the Performance Pack) measured out through a six-speed DSG dual-clutch automatic gearbox. The Performance Pack also adds larger brakes and an electronically-controlled mechanical limited-slip differential. Automatic Distance Control system – effectively, emergency braking for city driving, help keep insurance costs down too, further increasing the GTi’s appeal. 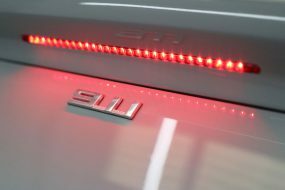 Distinctive GTi badging features along the grille, where a red stripe converges from the headlamps and the body kit. 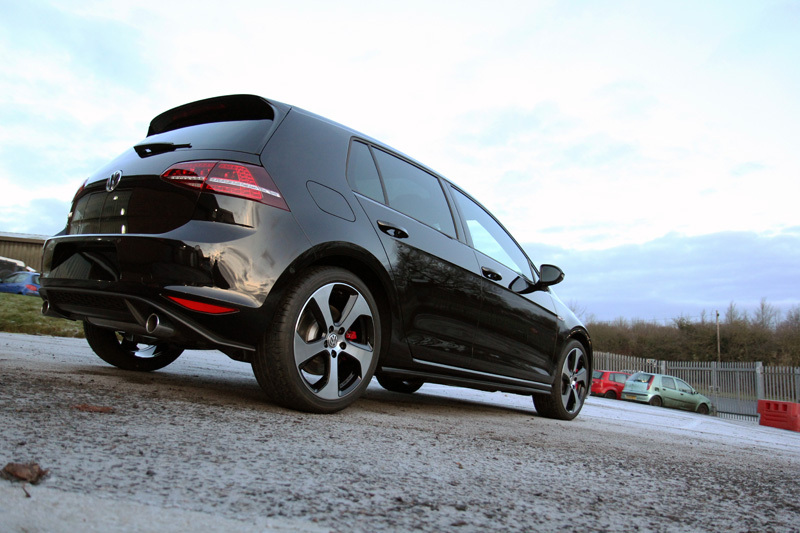 Add the sports exhaust and the more aggressive, stylish appearance soon distinguishes the GTi from other models. Finer details are not omitted from the interior either where the GTi boasts an impressive collection of technology including a DAB radio, Bluetooth connectivity and adaptive cruise control. The flat-bottomed, three-spoked GTI red stitched steering wheel complements the exterior stripe and the pedals are forged from aluminium to further enhance the sporty feel. All this, and of course when the door is closed, there is that familiar, distinctive ‘clunk’. Truly, the Golf and in particular, the GTi is recognised for its superior quality. The owner of this Golf GTi has previously owned a Mark 1, Mark 2 and a Mark 5 which was a GT TDi. 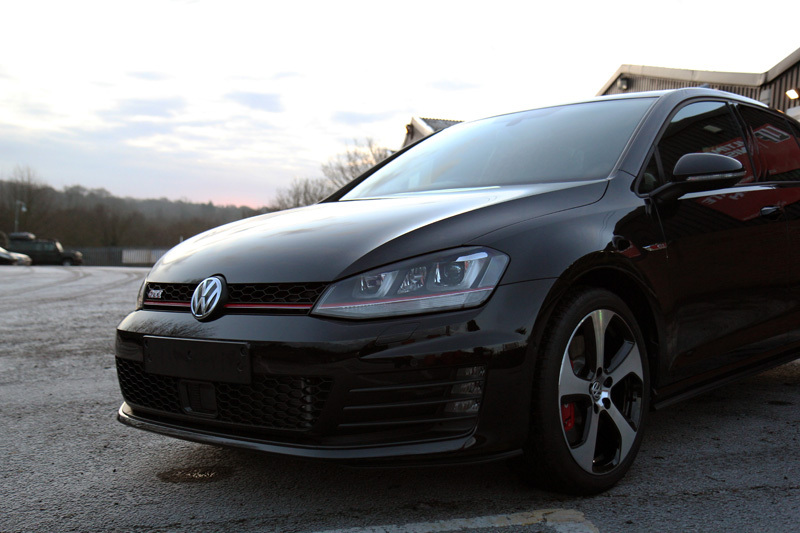 Having loved the latter so much, when it was time for an upgrade he opted for the GTi. Having had the Mk5 protected from new (twelve years previously!) and having seen first hand the benefits of having paintwork protected right from the start, having the GTi protected was a no-brainer particularly as he intends to keep it for the long-term. 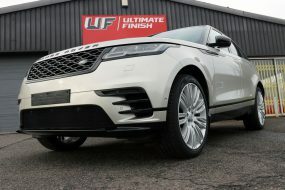 It was, therefore, booked into UF’s Brands Hatch Detailing Studio for a New Car Protection treatment with ‘ULTRA’ sealant upgrade. 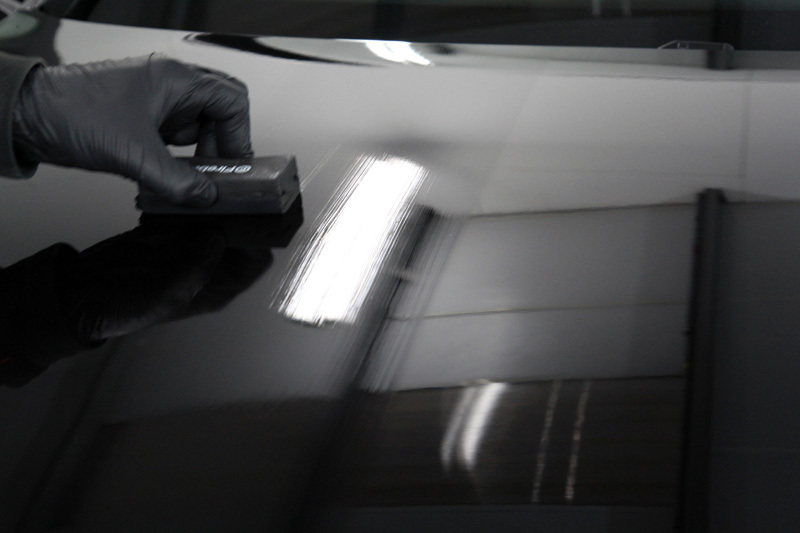 The customer selected Gtechniq‘s flagship nano-sealant, Crystal Serum topped with two layers of the new improved EXO v3 Ultra Durable Hybrid Coating for ultimate hydrophobicity. Gtechniq designates this combination, ‘Crystal Serum Black’. 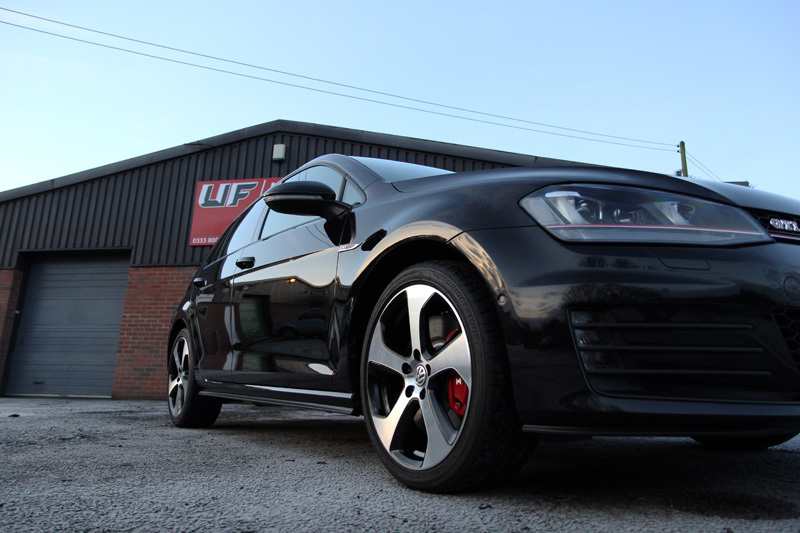 In addition, he’d opted for Leather Protection, Alloy Wheel Protection and Glass Protection treatments. 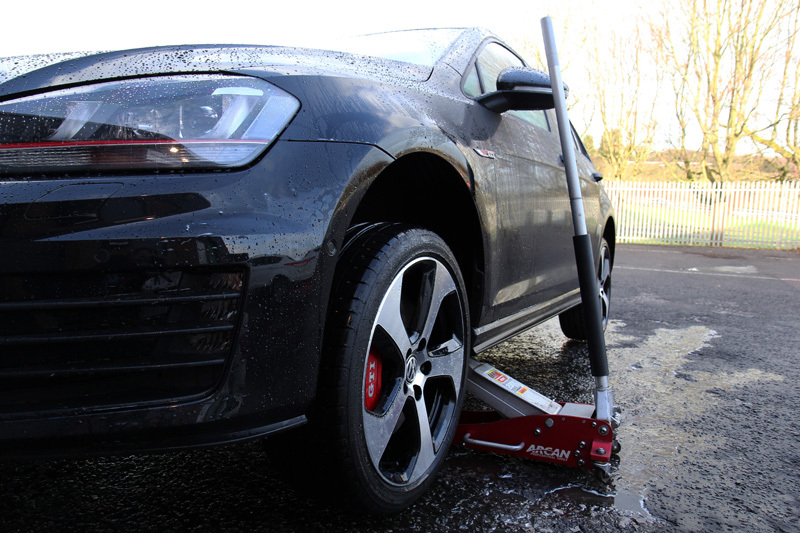 Before any treatment could be carried out, the car first needed to be decontaminated, removing driving debris, oily deposits, iron particles, sticky residues and environmental fallout. Gtechniq W6 Iron & General Fallout Remover was applied to remove any iron contamination. Although as a new car this Golf GTi had not been driven a great deal, the iron contamination may have deposited during transport from the manufacturing factory to the dealership. Some of this journey is typically made via rail and the braking train wheels shed iron particles which become aerosolised. Hot and small, they bond quickly with the nearest substrate where they begin to oxidise and as they do, they swell. Left in situ they can cause permanent pitting in the surface. Often these particles cannot be removed by washing alone. Each corner of the car was raised on a trolley jack to allow for thorough cleaning under the wheel arches. These were treated for iron contamination, then tar deposits using W7 Tar and Glue Remover. A solution of Gtechniq W5 Citrus All Purpose Cleaner was then applied to remove diesel splatters and oily deposits thrown up from the wet roads. Using a UF Wheel Bucket with Grit Guard and a set of Wheel Woolies, the wheels were then thoroughly cleaned front and back. The wheel arches and wheels were then power rinsed to leave them completely clean. Gtechniq W7 was then applied to the bodywork to remove traces of transportation tape residue, some of which was discovered still on the underside of the doors. 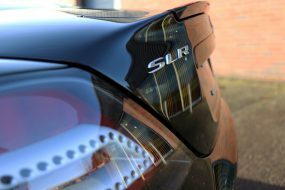 The bodywork was then treated for sticky residues in case tree sap had deposited whilst it was on the dealership courtyard or in their storage compound. Finally, the car was pre-cleaned using Ultimate Snow Foam applied through a Kranzle adapted foam lance attached to a Kranzle K-1152 TST pressure washer. The thick foam clings to the surfaces of the car, lifting larger particles of dirt and grit away from the surface encapsulating them within the foam. After being allowed to dwell for a few minutes the foam and contamination can be easily rinsed away. This process makes the wash process much safer as most of the potentially swirl-incurring material has been removed via non-contact methods before a wash mitt comes into contact with the paintwork. 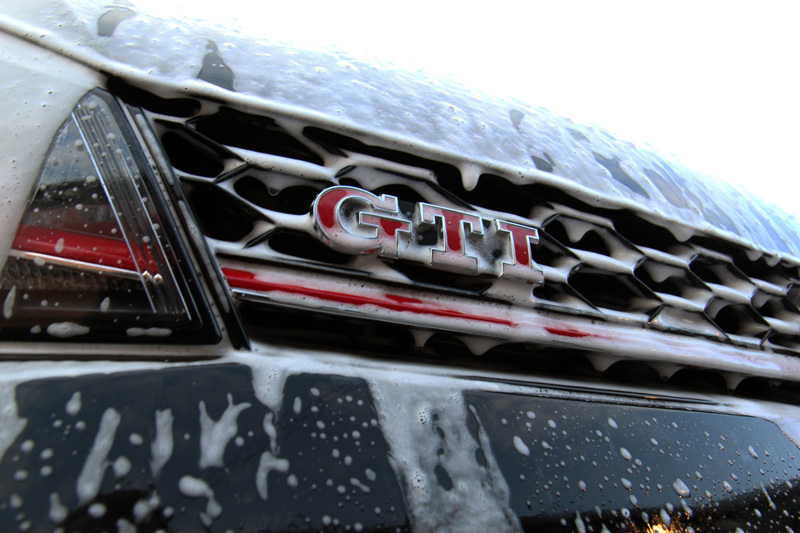 The main wash was carried out using Gtechniq G-Wash and the Two Bucket Method, keeping the wash water separate from the rinse water to prevent dirt removed from the car’s surface being transferred back onto it. The wash mitt is dunked into the soapy Wash bucket, carefully washing the car and then rinsed in the Rinse bucket, brushing the mitt across the Grit Guard to dislodge dirt particles which then sink to the bottom of the bucket. The mitt is then wrung out before being dunked back into the soapy Wash bucket and the process repeated. 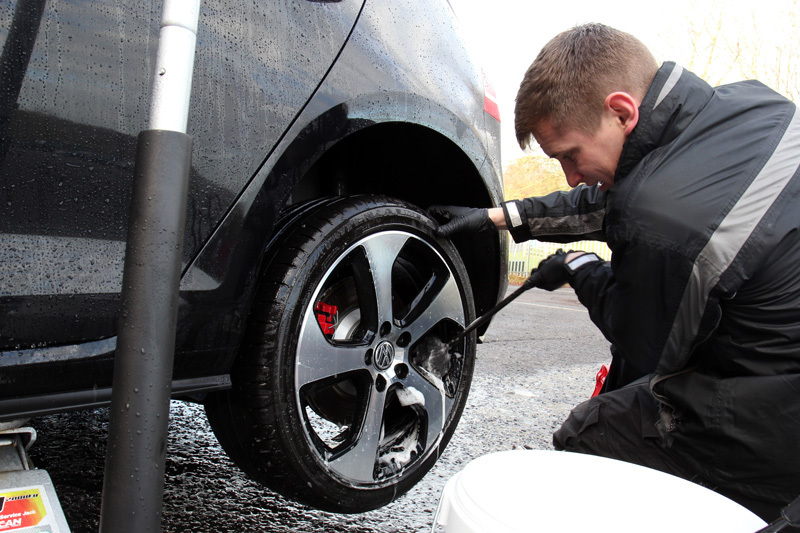 Once the car was clean, the suds were rinsed away before an Aqua Gleam De-ionising Water Filter attached to in-line with the hose to give a final, pure water rinse. The filter neutralises the impurities in the water which cause calcium water spotting, making the car easier to dry and leaving an extra sparkle to the paintwork. The car was partially dried using UF Ultra Soft Microfibre Drying Towels and then brought into the studio and air blown completely dry. 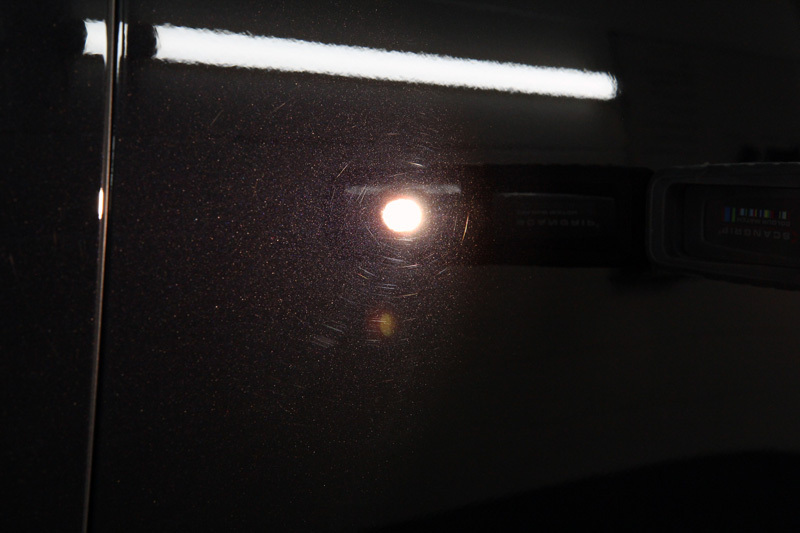 A final wipe with a drying towel and the paintwork was ready for inspection under high-intensity lighting. Volkswagen paintwork is quite hard, so after taking paint depths readings and finding the expected levels evenly across each panel, a RUPES LHR15 ES was selected along with a RUPES Green Medium Polishing Pad and Koch-Chemie Heavy Cut H8.02 to produce a high gloss shine. 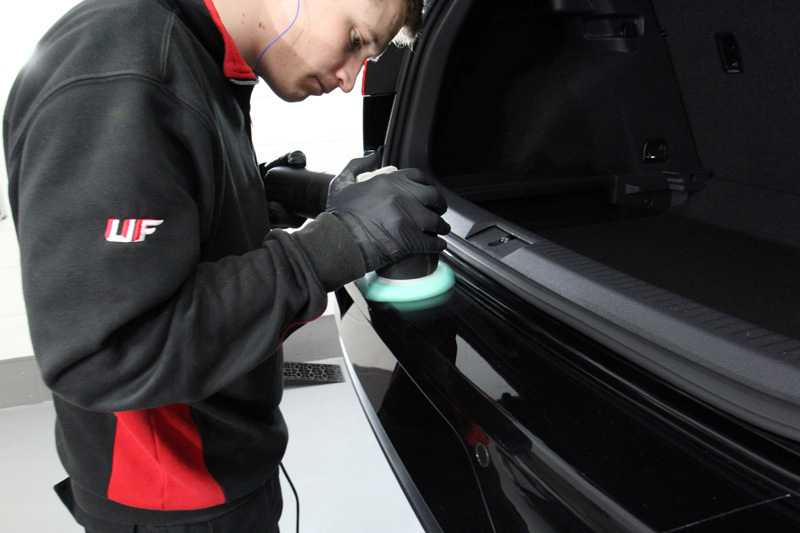 Along the door pillars and the boot shut, a RUPES LHR 75E Mini was used, where the smaller throw allows for a more concentrated action over smaller areas and therefore results in a better final finish. 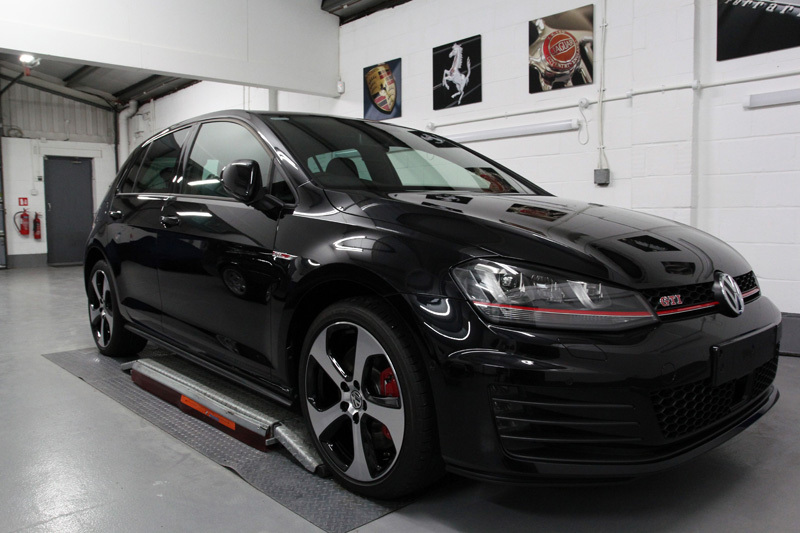 The paintwork and wheels of the Golf GTi were wiped over using a solution of Gtechniq Panel Wipe to ensure they were completely free from any polish residues that may interfere with the bonding of the sealant. Then, Gtechniq Crystal Serum was applied. Gtechniq is so confident in the performance of Crystal Serum they guarantee the coating for seven years. It is available only as a service through Gtechniq approved detailers as it must be applied in tightly controlled conditions in order for the coating to achieve maximum longevity. The wheels were protected using Kamikaze Collection Stance Rim Coat. This heat resistant nano-coating repels water, dirt, grime and oily contamination. 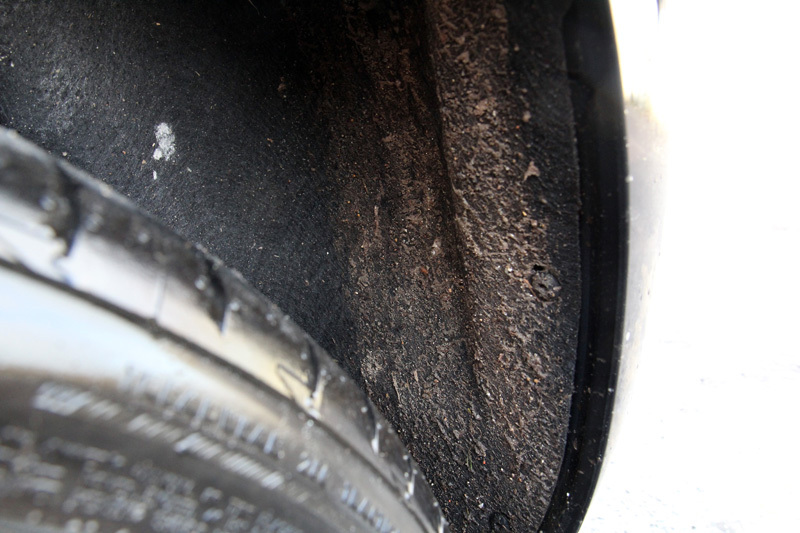 In addition, brake dust build-up is inhibited, making the weekly wash process much easier and negating the requirement for harsh wheel washes. Once applied, one layer will last up to two years! The windshield was coated with Gtechniq G1 ClearVision Smart Glass. This hydrophobic coating encourages rainwater to bead on contact and then blow away, even while driving at relatively low speeds. Being hydrophobic, snow and ice will not stick as well to treated surfaces, making early starts easier on frosty mornings. To protect the leather from UV fade, scuff marks and wear and tear, Gtechniq L1 AB Leather Guard was applied. This acts to seal the leather, helping to repel water and therefore prevent stains. Dark leather is vulnerable to UV fading, particularly for cars kept predominantly outdoors but UV inhibitors in L1 help to prevent such colour fade. L1 does not leave a sticky or greasy residue, so dust and dirt are not statically attracted to treated areas and this helps prevent the leather from becoming scuffed. The ‘AB’ denotes an antibacterial function, so treated surfaces also provide antibacterial protection – perfect for family cars with small children or pets. 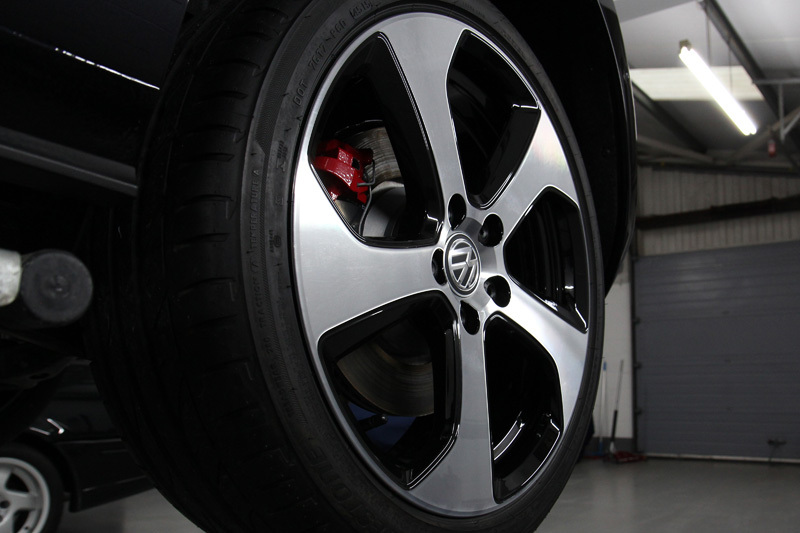 Finally, the tyres were dressed using Gtechniq T2 Tyre Dressing to provide a natural satin sheen, completing the look of the Golf. Now, it truly did look even better than brand new! I came across UF via recommendation and have enjoyed their website enormously. I use their Snow Foam (with their lance) and find it brilliant. They have given me helpful advice and even provided contacts for technical queries re CTEK battery conditioners.